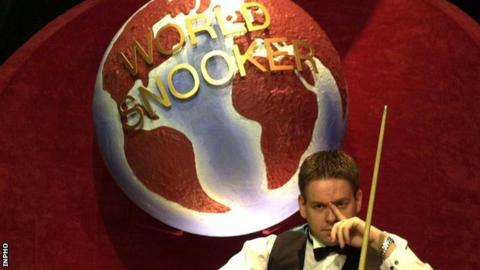 Belfast's Joe Swail says he is strongly considering retiring from snooker after he dropped off the professional tour following a 10-1 defeat by Joe O'Connor in the World Championship qualifiers. "It is not plain sailing for me at the minute with certain health problems I have," he said after Wednesday's loss. "I think maybe it is coming to the stage now where I have to ask myself the question do I want to continue." Having started his professional career in 1991, Swail reached the semi-finals of the World Championships in 2000 and 2001. The Northern Irishman dropped off the professional tour in 2017 but returned having obtained a new tour card through qualifying school. "I don't think I would be going to qualifying school," said Swail. "I have been there and done all that, I don't think my body can take it anymore. "I am going to put myself first for the first time in my life. It hurts because snooker has been my life but I have to think about what I want to do. "There is more to life than snooker and this is the harsh reality of it." 10 years on from his first ranking event final at the Welsh Open, Swail said that his ill-health had reached a stage where he could no longer prioritise his career. "I really do play it down, I don't talk about it because I don't want to use it as an excuse but it does affect you," he said. "It is frustrating because I love the game and I feel as if I have got a lot to offer, but I have got to put myself first."